Opioid addiction is now viewed as a long-term health condition, and treatment for it follows a similar course as that for other medical conditions, such as diabetes or asthma. Treatment for long-term health conditions involves making a treatment plan, designed to be followed over time rather than a quick fix, and treating opioid addiction is no different. Talk to your doctor about which treatment options will work best for you. As with other chronic diseases, there’s more to opioid addiction than just the physical symptoms. How you feel about yourself, your behaviour, and your personal choices may also be affected by opioid painkiller dependence. Counselling can help address the psychological and behavioural aspects of addiction. 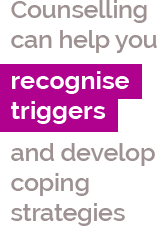 Counselling can assist you when it comes to recognising situations, feelings or events that could ‘trigger’ a desire to use opioids. It can also teach you new coping skills that you can use to avoid triggers altogether, or to manage them. In addition, counselling can provide a range of support services related to other aspects of your life, for example – finances, legal issues, domestic violence, accommodation, healthcare, childcare and employment. There are a number of clinics that can offer a range of counselling services including one-on-one and group counselling. Your doctor will be able to recommend psychosocial support for you. Medication-assisted treatment (MAT; an option recommended by the World Health Organization –WHO) is a treatment option for people with opioid painkiller addiction. It often involves taking a regular medication every day to stabilise the opioid effect, so that you feel neither intoxication nor withdrawal, just ‘normal’1 and can stay focused on your treatment goals. Combining medication-assisted treatment with counselling has been shown to increase the likelihood of treatment success. If you and your doctor have decided that taking medication is a good choice for you in overcoming opioid addiction, then understanding the likely path that treatment will take can help you remain on track and committed to your treatment goals. Medications that are used to help overcome addiction include buprenorphine and methadone. Both are types of opioid medications that are used to replace the opioids that you have dependence on and are then gradually withdrawn. Both involve visiting a pharmacy or clinic daily or several times a week to receive a recommended dose. Once a suitable medication has been selected, your doctor will work with you to find the best dose to start on – it needs to be high enough to minimise cravings for opioids, but not too high that it will give you side effects that can make you feel drowsy. The dose may be adjusted over a number of days to reach an ideal level. Once you are on a dose that your doctor considers is best for you, the aim of treatment is to stop using your opioid painkiller medication so that you can focus on the changes you need to make in order to improve your recovery, without craving opioids. This may involve counselling and getting yourself back to physical health. Your treatment will provide just enough opioid to prevent withdrawal symptoms. In-patient or residential treatment programs in specialised clinics or hospitals can offer around‑the‑clock support and highly structured programs. Patients can detach from their everyday lives for a period of time and focus entirely on following their treatment plan and achieving their goals. Residential treatment programs may also include medication intake and psychosocial support (counselling) or short-term withdrawal detoxification management. Detoxification (detox) is the process of clearing the opioid from your body and can be done with or without the help from medicines. Detoxification management usually happens over about 1–4 weeks and can be done at home as well as part of a residential treatment program. Overall, the length of stay is determined by the patient and the treatment team, according to the patient’s needs and treatment progress. 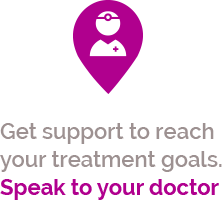 Your doctor or a member of your treatment team will be able to discuss in-patient or residential treatment program options with you. References: 1. WHO. Guidelines for the Psychosocially Assisted Pharmacological Treatment of Opioid Dependence, 2009.